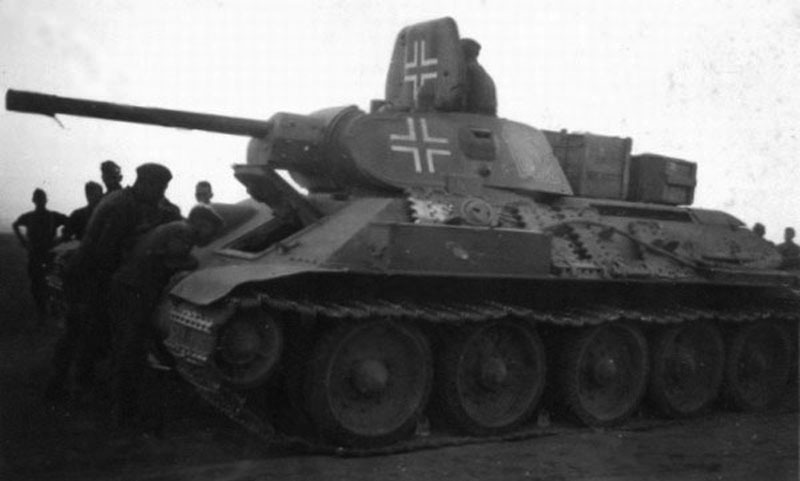 T-34 from unidentified unit. This tank had 4-digital number. 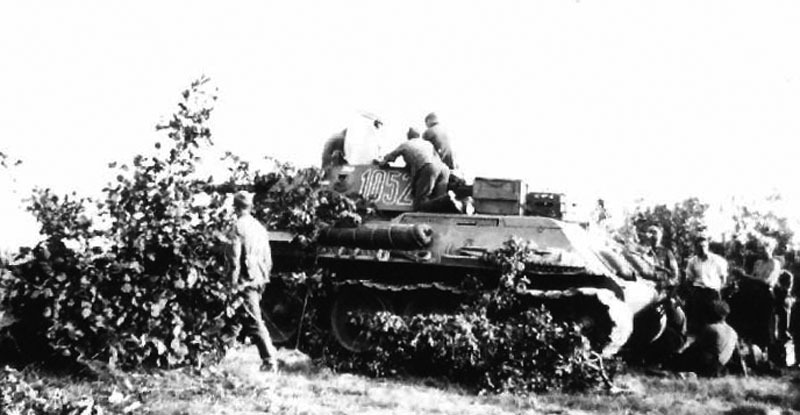 Probably from 61 Inf.Div. 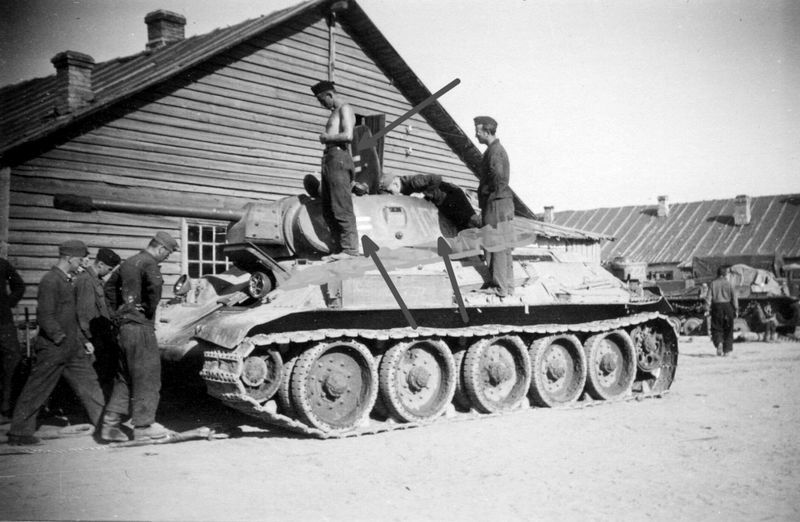 T-34 from unidentified unit. 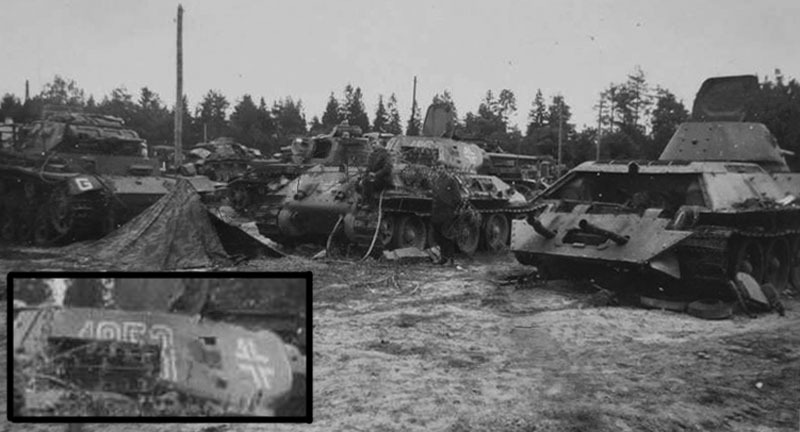 This tank had possibly red 4-digital number 1053 whith white border and white cross. 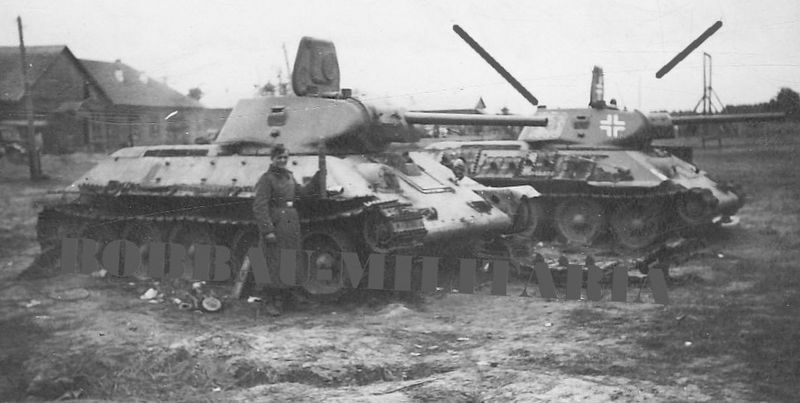 Damaged tanks collection point near Minsk. Russia, 1941. 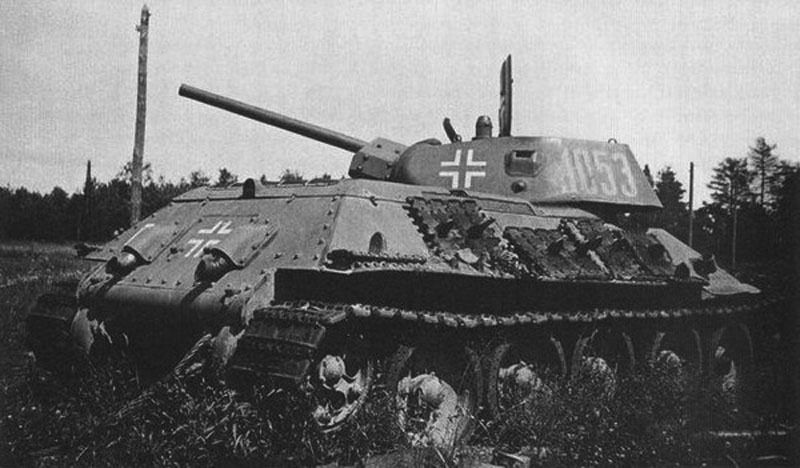 T-34 from unidentified unit with 1053 turret number on the collection point near Minsk. Russia, 1941.